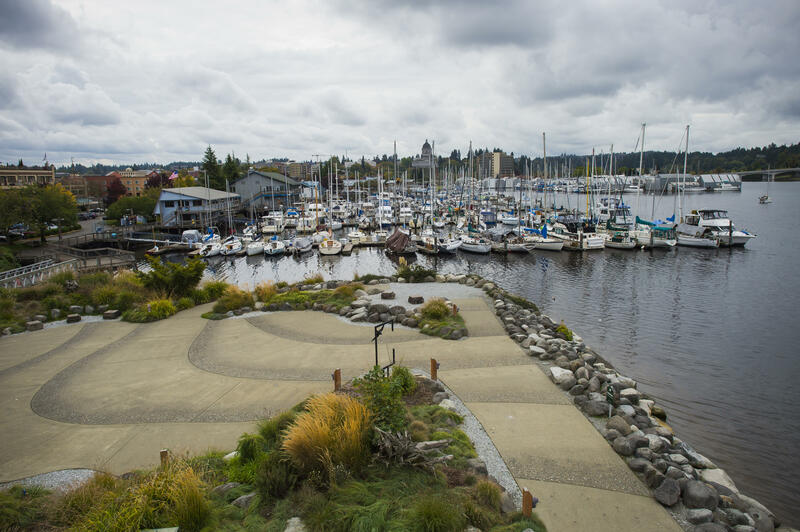 Percival Landing is 3.38 acres and is one of Olympia's three waterfront parks and is located on the east side of Budd Bay on the southern most tip of Puget Sound. This popular park and tourist destination is in the heart of downtown and is a hub for gatherings, social interaction and public celebrations. The Landing includes a 0.9-mile boardwalk extending along the eastern shoreline of West Bay from the Fourth Avenue Bridge to Thurston Avenue. 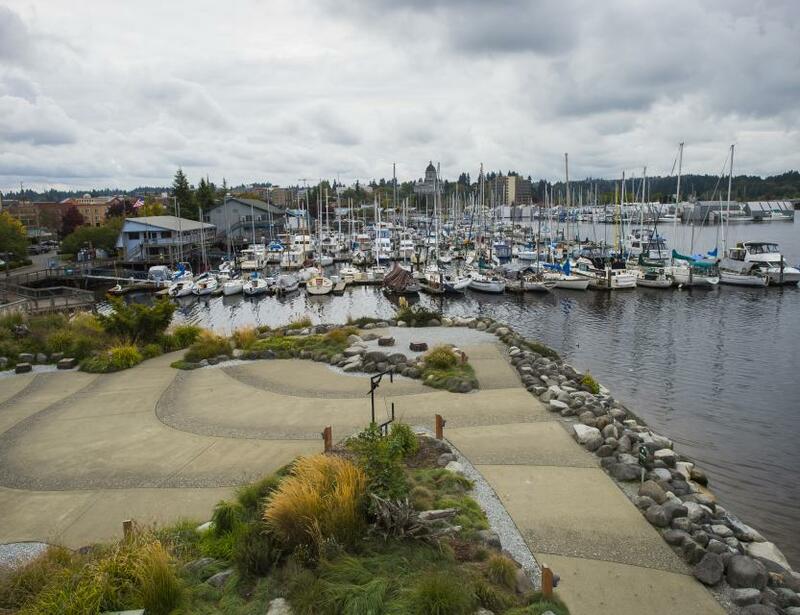 Percival Landing Park was named after the old commercial steamship wharf, a well-known maritime landmark in the Pacific Northwest. The original dock, built by Sam Percival in 1860, was operated by the Percival Family. The first phase of Percival Landing, as we know it today, was completed and opened in 1978, phase two in 1985, and phase three in 1988.